411 Freebies And More: Get a Free Subscription to Enjoying Everyday Life Magazine! Get a Free Subscription to Enjoying Everyday Life Magazine! 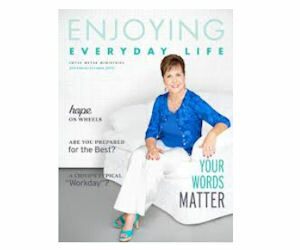 Sign up for the Joyce Meyer email list and you'll be automatically subscribed to their magazine Enjoying Everyday Life for FREE. Please complete the form on the following page to start your free subscription.